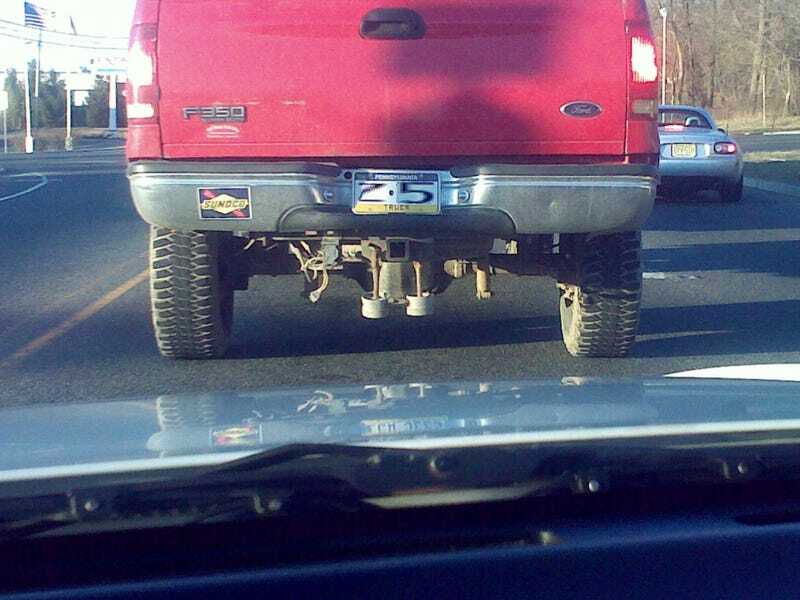 Jalop truck nuts right here.... i aint even mad. Found this gem on my way home from work today. I must say, i approve. Also, i failed at cutting the plate off my hood reflection.. Sorry pal, i tried though.